Preheat oven to 160°C. Line the cupcake baking tray with cupcake cases. Melt the butter and allow to cool slightly. 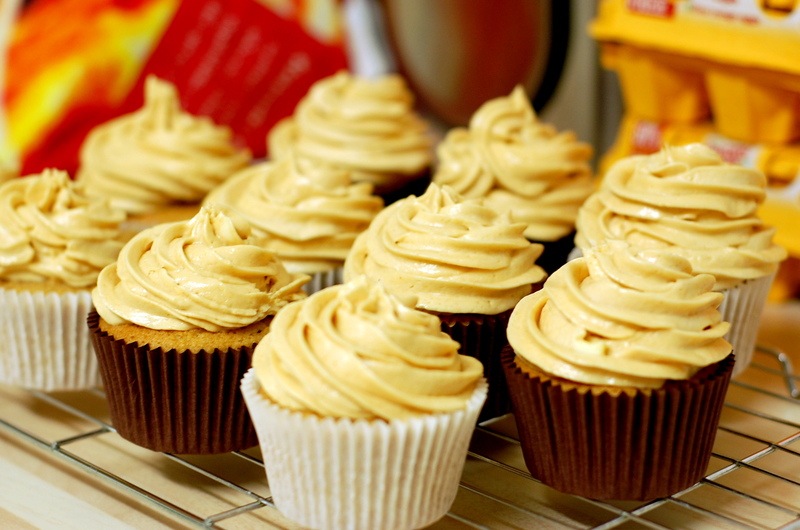 With an electric mixer, whisk together the butter and sugar. Add the egg and continue beating until well incorporated. Add the vanilla extract, milk and peanut butter to the mixture and continue mixing until all the ingredients are combined. Sift together the flour, baking powder and salt into a bowl then fold into the peanut butter mixture until well combined. 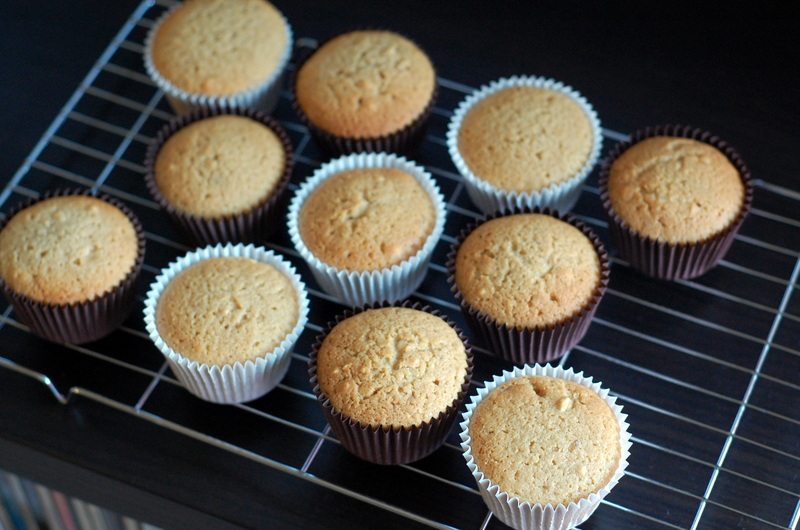 Divide the mix between the cupcake cases, filling each one about half-way and bake for 25 minutes. Oh Just reading this and looking and the pictures is making my hungry! Thanks Vanessa 🙂 I’m feeling hungry now too!